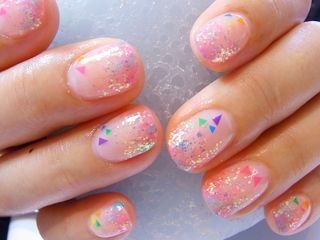 Light pastel pink nails with multi colored glitter and chunky colored pieces. 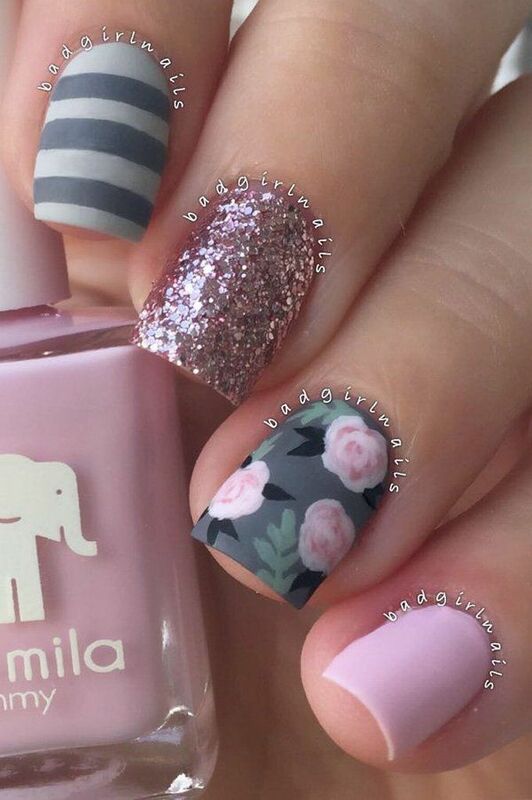 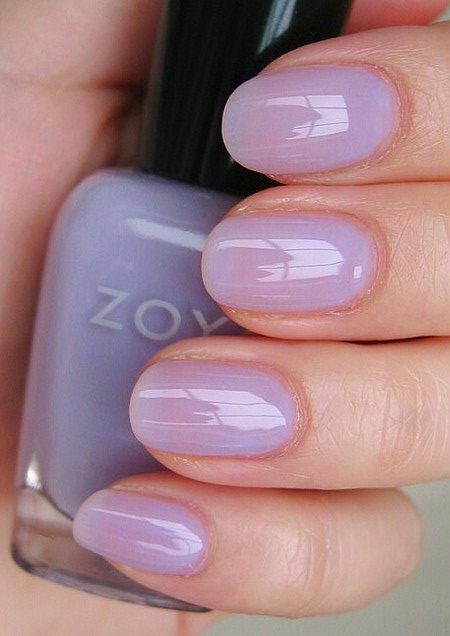 Gorgeous soft pink nails with a golden touch. 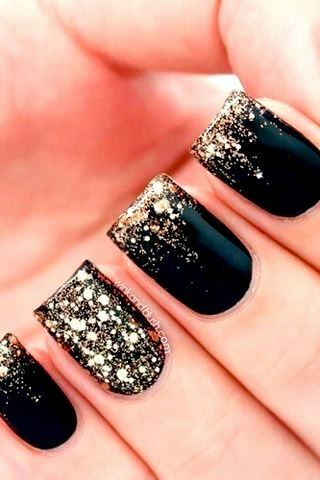 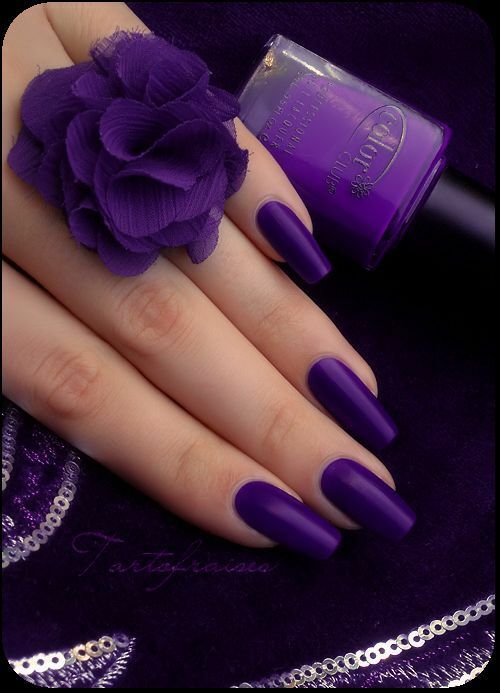 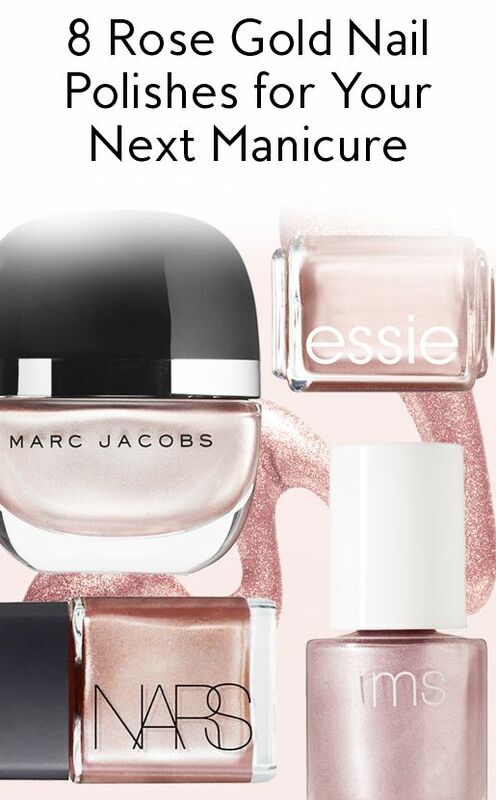 Get the look using a variety of nail polish from Duane Reade.